There are 20 Memory Care Facilities in the South Jordan area, with 6 in South Jordan and 14 nearby. The average cost of memory care in South Jordan is $5,254 per month. This is higher than the national median of $4,650. Cheaper nearby regions include West Jordan with an average starting cost of $4,400. To help you with your search, browse the 9 reviews below for memory care facilities in South Jordan. On average, consumers rate memory care in South Jordan 4.0 out of 5 stars. Better rated regions include Salt Lake City with an average rating of 4.6 out of 5 stars. Caring.com has helped thousands of families find high-quality senior care. To speak with one of our Family Advisors about memory care options and costs in South Jordan, call (855) 863-8283. South Jordan is a suburb located 18 miles south of Salt Lake City and offers several memory care options for seniors in Utah, a state with approximately 31,000 residents over 65 living with Alzheimer’s disease. SoJo, as it’s locally called, is home to six memory care facilities, and there are 14 more in surrounding communities. In South Jordan and the rest of the Beehive State, the residential establishments offering memory care are regulated by the Utah Department of Health, Bureau of Health Facility Licensing, Certification and Resident Assessment. Such agencies include Type N small health care, Type II assisted living and nursing care facilities. South Jordan experiences plenty of sunny days per year in addition to hot summers and cold winters. Its overall year-round climate receives a Sperling comfort index of 74 which is higher than the national average of 54. The pleasant environment in SoJo lets seniors and their loved ones enjoy the city’s natural beauty and outdoor amenities. Utah fully taxes social security income and retirement account withdrawals and partially taxes pensions. To help seniors and their families compensate for relatively high state taxes, prescription drugs are tax-free and retirees 65+ may enjoy tax credits on retirement income. Crime in South Jordan occurs 11 percent below the national average, mainly consisting of non-violent property crimes and with violent crime categories being 84 percent lower than the U.S. average rate. 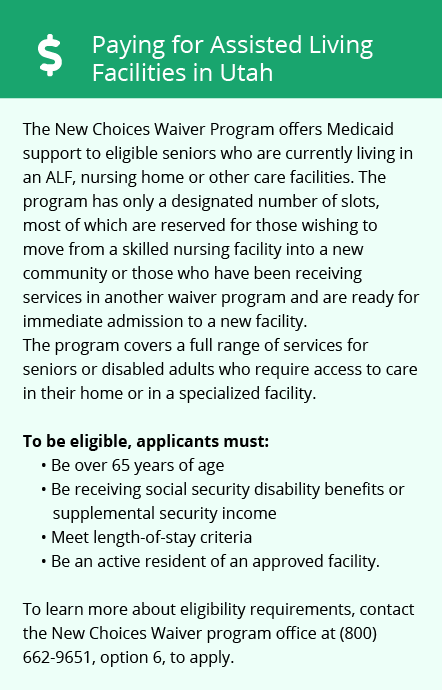 This makes SoJo a relatively safer community for seniors within the Salt Lake City metropolitan area. South Jordan has few facilities from which to choose in the event of a medical emergency or illness, with the nearest major hospital specializing in brain health and dementia care located in West Jordan. Memory Care costs in South Jordan start around $5,254 per month on average, while the nationwide average cost of memory care is $4,799 per month. It’s important to note that memory care rates in South Jordan and the surrounding suburbs can vary widely based on factors such as location, the level of care needed, apartment size and the types of amenities offered at each community. To see a list of free memory care resources in South Jordan, please visit our Assisted Living in Utah page. 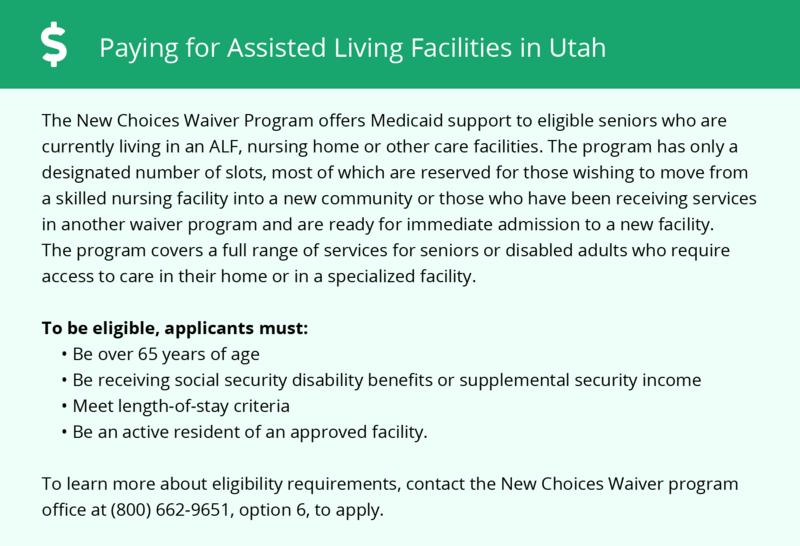 South Jordan-area assisted living communities must adhere to the comprehensive set of state laws and regulations that all assisted living communities in Utah are required to follow. Visit our Memory Care in Utah page for more information about these laws.